We spoke to University of Leicester law student, and TLP Ambassador, Jess Kelly, who provides some insight into studying the LLB at the University of Leicester! Why did you decide to study the LLB at the University of Leicester Law School? I chose to study law at Leicester for both the course itself and the university. 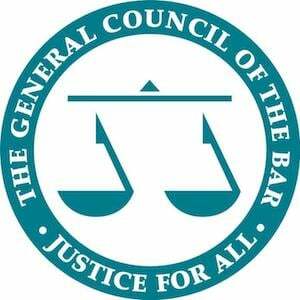 The course is recognised throughout the UK as offering a very good Law LLB course, which drew me towards it. The university itself is fantastic and when I looked round I was very taken by the law school, the library (pretty much all made of glass!) and the size of the campus. I’m not one for a massive campus so Leicester suited me perfectly as you get the campus feel but it’s all quite close together. The application process through UCAS was well-supported. I started thinking about university quite early so had plenty of time to work hard on my application. Make sure to try and visit the universities you are considering – one visit could make all the difference as to where you want to go. University is about the whole experience, so make sure to like the University itself as well as the course. What is the best part about studying at the University of Leicester Law School? The best part of studying at Leicester has to be the general atmosphere around uni. There is a lot of Leicester pride, which becomes particularly clear during varsity, where UoL go up against DMU (and wins hopefully!) – the annual rugby match held at the Leicester Tigers Stadium is not one to miss! Also, the wide range of societies available is another great thing about Leicester – there’s definitely something for everyone. 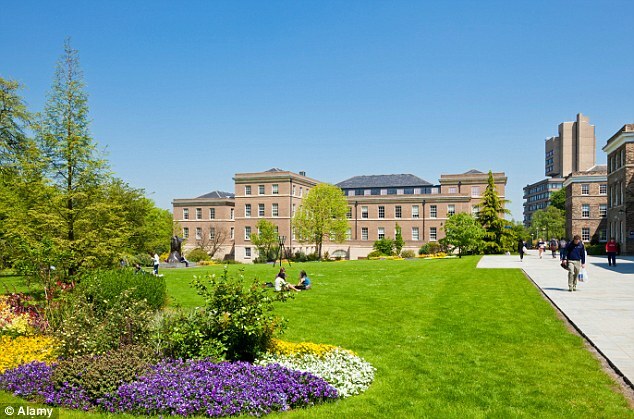 What is the worst part about studying at the University of Leicester Law School? The worst part about studying at Leicester is that depending on where you live, it can be a small trek into the campus. Leicester has a student village that contains most of the Halls of Residence, but it is about a 45-minute walk from campus, so most students living here have a bus pass. Warning – it gets very busy at peak times and there is often a long queue before you can catch a bus. However, the student village is in a lovely area, has a pub, a gym, backs onto a botanic garden and has an Asda, which makes all the difference! How can applicants make themselves stand out when applying to Leicester? To stand out, I would say it would be a great to show how you could represent the university as a student very well. Give examples of extracurricular activities you take part in, and indicate you are really interested in your degree by showing knowledge of wider areas in that sector (e.g Brexit!). Being able to show you understand these issues would be very attractive! Read more about Brexit with our Impact of Brexit on Law Firms blog post here! I have a lot going on at university – I’m on a committee, I’m the TLP Ambassador for the University of Leicester and I train several times a week for lacrosse – so good time management has been vital to keep on top of things. Don’t forget to find time to relax though; this is very important, as giving yourself a break can help you to re-energise! My first year mentor gave me great advice that I generally follow: treat your degree as a job and work from 9-5 everyday so you can have the evenings off to relax and take part in other societies/clubs or events. What’s good and bad about the course at the University of Leicester Law School? The Law LLB course at Leicester has some fantastic lecturers and tutors that are really engaging with the students. The tutorials are small and require a good level of work beforehand, which is a great for your insight on the topic. However, the law school is huge – in my first year, I had over 500 people in my lectures. This does mean that tutors have lots of students and so time/resources are on occasion limited. But, on the whole, I haven’t really been impacted by the large numbers. The law school staff are also fantastic and do their best to help, such as reallocating your tutorials/seminars if you’ve missed one. We have lots of law related societies at Leicester: for example, the Law Society, the Pro Bono Society, the Canadian Law Society and Geek Law. All of these have opportunities and events that are very useful in gaining experience. Taking part in our Mooting and Negotiation competitions are really good, practical ways of building up your experience. I am a member of the Pro Bono Committee – within this society we run ten projects that are great ways to get hands on legal experience, such as the Litigants in Person project, where you are able to spend regular time in Leicester County Court. What are your top 3 tips for getting an offer from the University of Leicester Law School? Show a wider interest in the legal sector: whether that is current global issues or more specific issues to the sector. Also, show that you can offer more than just academics. These days, universities want well-rounded people who can offer things to add to university life in general, as well as their course. Finally, show your direct interest in that university; they want to know that you really want to attend their uni, so make sure to indicate this clearly!